Taking inspiration from world-renowned Korean skin care regimes, this priming ‘essence’ is rich in active detoxifying, moisturising and energising ingredients that protect skin from the stresses of urban life. Alpine rose native cells and acanthus extract provide impressive antioxidant protection and neutralise pollution particles, preventing them from tampering with your complexion’s harmonious balance. Simply pat in this ‘aqua primer’ after cleansing to swiftly purify, brighten and restore clarity. 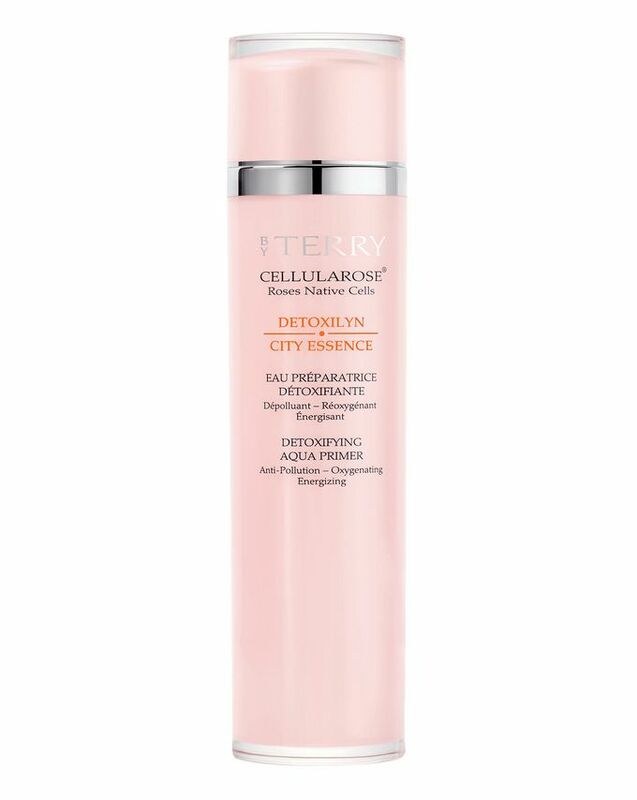 The urban atmosphere can quickly take its toll on skin’s vitality, compromising radiance and suffocating skin to leave it looking lacklustre – that’s where By Terry’s Detoxilyn City Essence comes in, providing a sublime shield against the skin-damaging effects of pollution. Rich in active detoxifying, moisturising and energising ingredients, this refreshing aqua primer protects skin, swiftly purifying, brightening and restoring uniformity, clarity and vitality. The formula feature alpine rose native cells, which provide antioxidant protection and free radical defence, enhanced by acanthus extract, which neutralises pollution particles and frees skin from impurities. Taking inspiration from Korean skin regimes, this priming ‘essence’ is simply patted into skin with your palms morning and evening. Apply without rinsing, in the morning and evening, by gently patting the primer into the face and neck using the palm of your hand.